Harley A. Peterson was born on 6 May 1928. He died on 28 April 2002 at age 73. Emil Werner married Mildred King. Married Name Her married name was Werner. Mildred King married Emil Werner. Roger Wagner was the son of Janet B. Werner. Roger Wagner died before August 2014. Married Name Her married name was Eichfeld. Ruth Werner was the daughter of Emil Werner and Mildred King. Ruth Werner married (?) Eichfeld. Ruth Werner died before August 2014. (?) Eichfeld married Ruth Werner, daughter of Emil Werner and Mildred King. Roger Werner was the son of Emil Werner and Mildred King. Roger Werner died before August 2014. Gene Werner was the son of Emil Werner and Mildred King. Gene Werner died before August 2014. Kenneth Ninnemann married Elva Klitzke, daughter of Walter H. Klitzke Sr. and Agnes M. Harms. Kenneth Ninnemann died before 2014. Edward E. Reimer was born on 13 April 1934. He was the son of Erwin F. Reimer and Anna L. Roecker. Edward E. Reimer married Nancy Harmel on 25 April 1959. Edward E. Reimer died on 24 January 2014 at age 79 Edward E. Reimer, age 79, of Loganville, died Friday morning, January 24, 2014 at St. Clare Hospice House in Baraboo following a courageous battle with cancer. He was born on April 13, 1934 in Loganville, the son of Erwin and Anna (Roecker) Reimer. Ed was a 1953 graduate of Reedsburg High School. On April 25, 1959, he was married to the former Nancy Harmel. She preceded him in death on December 1, 1992. He later married the former Irma Raedel Jaedike on November 5, 1994. Ed was a lifelong farmer in the Town of Westfield who enjoyed going to auctions and the friendships he made in the ag community. He enjoyed youth sporting events especially watching when his grandchildren participated. Ed was a lifelong member of St. Peter's Lutheran Church in Reedsburg. Survivors include his wife: Irma; his daughter and son-in-law: Kim and Brad Schyvinck, of Reedsburg; three granddaughters: Brittany, Brianna and Brooklyn Schyvinck; two stepchildren: Dale Jaedike, of Leland and Linda Kippley, of Prairie du Sac; two step-grandsons: Evan and Garrett Kippley; two sisters: Audrey Westedt, of Reedsburg and Betty (John) Zell, of Woodruff; one brother: Roger (Ruth) Reimer, of Reedsburg; three brothers-in-law: Richard Steinhorst, of Baraboo; Gerald Radke, of Loganville and Clarence (Clara) Harmel, of Baraboo; nieces and nephews; other relatives and friends. He was also preceded in death by two sisters: Mary Schlecht and Joyce Steinhorst; his step son-in-law: Fred Kippley; four brothers-in-law: Paul Westedt, Axel Schlecht, Melvin Ziegler and Howard Woodworth; three sisters-in-law: Norma Radke, Maurine Ziegler and Doris Woodworth. Funeral services will be conducted at 11:00 A.M. on Thursday, January 30, 2014 at St. Peter's Ev. Lutheran Church in Reedsburg with Pastor Paul Crolius officiating. Interment will be in St. Peter's Cemetery. The family will receive friends from 3:00 P.M. to 8:00 P.M. on Wednesday at the Hoof Funeral Home in Reedsburg and from 10:00 A.M. until the time of the service on Thursday at the church. In lieu of flowers, memorial to St. Peter's Lutheran Church and School or St. John's Lutheran Church in Leland would be appreciated. The Hoof Funeral Home is serving the family. Edward E. Reimer graduated in 1953 at Reedsburg High School, Reedsburg, Sauk, Wisconsin. Married Name 25 April 1959 As of 25 April 1959,her married name was Reimer. Nancy Harmel married Edward E. Reimer, son of Erwin F. Reimer and Anna L. Roecker, on 25 April 1959. Nancy Harmel died on 1 December 1992. Name Variation Robert A. Jaedike was also known as Bob. Robert A. Jaedike was born on 10 January 1933 at Wisconsin. He died on 28 October 1987 at Wisconsin at age 54. Married Name 20 August 1949 As of 20 August 1949,her married name was Westedt. Audrey Reimer was born on 1 October 1930. She was the daughter of Erwin F. Reimer and Anna L. Roecker. Audrey Reimer married Paul E. Westedt, son of Henry Carl Westedt and Helena Meyer, on 20 August 1949. Audrey Reimer died on 6 August 2018 at age 87 Audrey M. Westedt, 87, of Reedsburg, died peacefully on Monday Aug. 6, 2018, in the Sauk County Health Care Center. She was born on Oct. 1, 1930, in Reedsburg, the daughter of Erwin and Anna (Roecker) Reimer. Audrey was united in marriage to Paul E. Westedt on Aug. 20, 1949. Audrey worked as a secretary for the Reedsburg Farmers Co-op until her retirement. She was a lifelong member of St. Peter’s Lutheran Church and the Ladies Aid, a member of the VFW Ladies Auxiliary and the Reedsburg Senior Citizens. Audrey enjoyed playing cards and spending time with her grandchildren and great grandchildren. Survivors include her daughter, Kristine (David) White, of Reedsburg; her son-in-law, Jerry (Jane) Dorow, of Reedsburg; five grandchildren, Jason Dorow, Julie (Bill) Schultz, Justin (Erick) Dorow, Aaron (Lisa) White and Amy (Kevin) Liddicoat; eight great grandchildren, Rylee Dorow, Chloe, Addison and Tenley Schultz; Adelyn and Ava White, Easton and Oliver Liddicoat; her sister, Betty (John) Zell, of Woodruff; her brother, Roger (Ruth) Reimer, of Reedsburg; nieces and nephews; other relatives and lifelong cherished friends. She was preceded in death by her husband, Paul, on Feb. 8, 2003; her daughter, Kathleen Dorow; her parents; two sisters, Mary Schlecht and Joyce Steinhorst; and her brother, Edward Reimer. Funeral services will be conducted at 11 a.m. on Tuesday, Aug. 14, 2018, at St. Peter’s Evangelical Lutheran Church, 345 N. Pine St., Reedsburg, with Pastor Paul Crolius officiating. Interment will be in St. Peter’s Cemetery. There will be a visitation at 9 a.m. until the time of the service on Tuesday at the church. In lieu of flowers, memorials to St. Peter’s Lutheran Church are appreciated. The Hoof Funeral Home is serving the family. Audrey Reimer graduated in 1948 at Reedsburg High School, Reedsburg, Sauk, Wisconsin. Married Name 24 June 1961 As of 24 June 1961,her married name was Schlecht. Mary Reimer was born on 28 October 1942 at Reedsburg, Sauk, Wisconsin. Mary Reimer married Alexander Schlecht on 24 June 1961 at Reedsburg, Sauk, Wisconsin. Mary Reimer died on 24 December 1984 at Wisconsin at age 42. 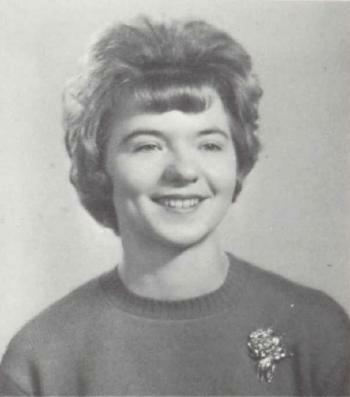 Mary Reimer graduated in 1960 at Webb High School, Reedsburg, Sauk, Wisconsin. Name Variation Alexander Schlecht was also known as Axel. Alexander Schlecht was born on 31 October 1937 at Poland. He married Mary Reimer, daughter of Erwin F. Reimer and Anna L. Roecker, on 24 June 1961 at Reedsburg, Sauk, Wisconsin. Alexander Schlecht died on 8 January 2012 at age 74 Alexander "Axel" Schlecht, age 74, of Adams, WI died Sunday at the Advocate BroMenn Medical Center in Normal, IL. Axel was born in Tomaschowka, Poland to Sigismund and Marie Amanda (Schubert) Schlecht. He was baptized as an infant and confirmed his faith as a youth in a Lutheran Church in Germany. He grew up in Schleswig-Holstein before coming to America by himself on the USS Langfid troopship in his late teens, knowing no English. He arrived in America in New York, was moved to Minneapolis through the Lutheran Immigration and Refugee Service where he worked in a textile mill, before moving to Reedsburg, WI. There he met his future bride. He married Mary Ann Reimer on June 24, 1961 at St. Peter's Lutheran Church in Reedsburg, WI. They later moved to Mauston, WI before finally coming to Adams-Friendship. He worked for 40 years as a telephone installer/repairman. He loved biking, walking, and enjoying coffee with his friends. He was a good handiman, an avid soccer, Packer and Badger football fan, he liked to joke around and was always available when someone asked for help. He was preceded in death by his parents, Sigismund and Marie Amanda Schlecht; wife, Mary Ann Schlecht (1984); brothers, Wally and Erwin Schlecht; and granddaughter, Karisa Joy Schlecht. Many nieces and nephews and other relatives and friends. Married Name Her married name was Steinhorst. Joyce Reimer married (?) Steinhorst. Joyce Reimer was born circa 1945. Joyce Reimer died before 2014. 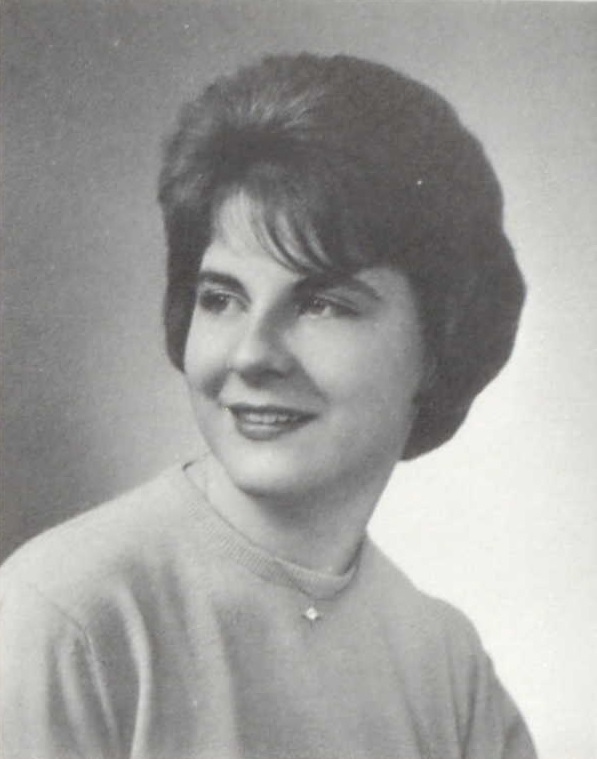 Joyce Reimer graduated in 1963 at Webb High School, Reedsburg, Sauk, Wisconsin. (?) Steinhorst married Joyce Reimer, daughter of Erwin F. Reimer and Anna L. Roecker. Donald Schultz died before 2014. Reinhard Meyer married Emma Meyer, daughter of Karl Frederick William Meyer and Catharina Dorothea Elisabeth Lutterman. Reinhard Meyer was born on 23 March 1899 at Wisconsin. He died on 21 October 1974 at Wisconsin at age 75. Emma Meyer married Reinhard Meyer. Emma Meyer was born on 3 December 1902 at Sauk, Wisconsin. She was the daughter of Karl Frederick William Meyer and Catharina Dorothea Elisabeth Lutterman. Emma Meyer died on 28 April 1988 at Reedsburg, Sauk, Wisconsin, at age 85. Merlin Meyer married Polly (?). 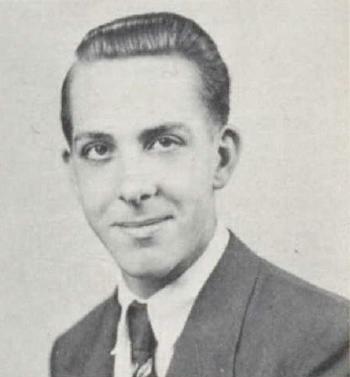 Merlin Meyer was born circa 1929 at Wisconsin. Polly (?) married Merlin Meyer, son of Reinhard Meyer and Emma Meyer. Married Name Her married name was Wilburn. Pearl Meyer married (?) Wilburn. 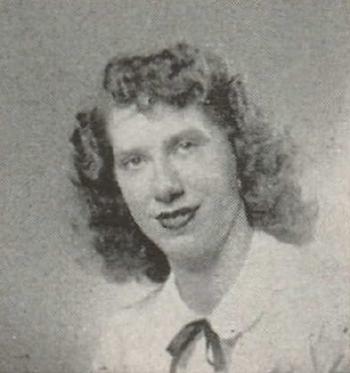 Pearl Meyer was born circa 1933 at Wisconsin. She was the daughter of Reinhard Meyer and Emma Meyer. (?) Wilburn married Pearl Meyer, daughter of Reinhard Meyer and Emma Meyer. Gerald R. Meyer was born on 11 February 1936.
with cancer. He was born on Feb. 11, 1936, in Sauk County, the son of Reinhard C. and Emma (Meyer) Meyer. Gerald attended Reedsburg area schools. He worked for various farmers and also for Circus World Museum. Survivors include two brothers, Merlin (Polly) Meyer of Reedsburg and Norbert Meyer of Madison; two sisters, Pearl Wilburn of Reedsburg and Avonda Giese of Baraboo; nieces and nephews; other relatives and friends. He was preceded in death by his parents; three sisters, Ruth (Lawrence) Clark, Adeline (Donald) Ewing and Elsie Berning; a brother-in-law, Bill Giese and a sister-in-law, Lorraine Meyer. Funeral services will be conducted at 1 p.m. Thursday, Sept. 20, 2007, at the Hoof Funeral Home in Reedsburg with Pastor Ray Harms officiating. Interment will be in St. John's Lutheran Cemetery in Rock Springs. The family will receive friends from 5 p.m. until 7 p.m. on Wednesday at the funeral home and from noon until the time of service on Thursday at the funeral home. In lieu of flowers, memorials would be appreciated. The Hoof Funeral Home is serving the family. Ruth Meyer married Lawrence Clark. Ruth Meyer was born on 7 January 1926 at Reedsburg, Sauk, Wisconsin. Ruth Meyer died on 9 February 1981 at Madison, Dane, Wisconsin, at age 55. Lawrence Clark married Ruth Meyer, daughter of Reinhard Meyer and Emma Meyer. Lawrence Clark was born in 1917. Married Name Her married name was Ewing. Adeline Meyer married Don Ewing. Adeline Meyer was born on 14 December 1930 at Sauk, Wisconsin. Adeline Meyer died on 9 November 1998 at Sauk, Wisconsin, at age 67. Don Ewing married Adeline Meyer, daughter of Reinhard Meyer and Emma Meyer. Married Name Her married name was Berning. Elsie Martha Meyer married (?) Berning. Elsie Martha Meyer was born on 12 October 1944 at Reedsburg, Sauk, Wisconsin. Elsie Martha Meyer died on 18 August 2004 at Madison, Dane, Wisconsin, at age 59 Elsie M. Berning, age 59, of Baraboo, passed away on Wednesday, Aug. 18, 2004, at the Don and Marilyn Anderson HospiceCare in Madison. She was born on Oct. 12, 1944, in Reedsburg, to Reinhard and Emma (Meyer) Meyer. Elsie was a member of Faith Lutheran Church in Reedsburg, and a former Ladies Aid member. Elsie enjoyed watching football, basketball and NASCAR racing. She also enjoyed the company of her many friends, family and extended family. Her life was dedicated to the happiness of her sons, family and friends. Through great pain, Elsie reached out and touched a special spot in all of those she met. She was a kind, loving and generous woman, who through all of her suffering managed to smile and share a good word with everyone with whom she spoke. She was an inspiration to many people because of the grace and dignity with which she dealt with the numerous obstacles that were put upon her. Through her faith and trust in God, she taught us that each day was a gift to embrace. The family would like to extend a special thank you to Katie Hagen, Elsie's "special friend and caregiver until the end", and to the Don and Marilyn Anderson HospiceCare. She is survived by her sons, Michael (Ellen) Berning of Sun Prairie, and Brian (Vicki) Berning of LaValle; sisters, Pearl Wilburn of Pikeville, Tenn., and Avonda Giese of Baraboo; brothers, Norbert (Lorraine) Meyer of Madison, Merlin (Polly) Meyer of Reedsburg, and Gerald Meyer of Baraboo; nieces and nephews, along with other relatives and friends. She was preceded in death by her parents; two sisters, Ruth (Lawrence) Clark and Adeline (Don) Ewing; brother-in-law, William Giese; and nephew, David Clark. Funeral services will be conducted at noon on Saturday, Aug. 21, 2004, at FAITH LUTHERAN CHURCH in Reedsburg, with Pastor Tod Vertz officiating. Burial will follow in St. John Cemetery in Rock Springs. Friends may call on Saturday, Aug. 21, 2004, from 10 a.m. until the time of the service at the church. In lieu of flowers, memorials of remembrance may be made to the family. The Farber Funeral Home, in Reedsburg, is assisting the family with the arrangements. 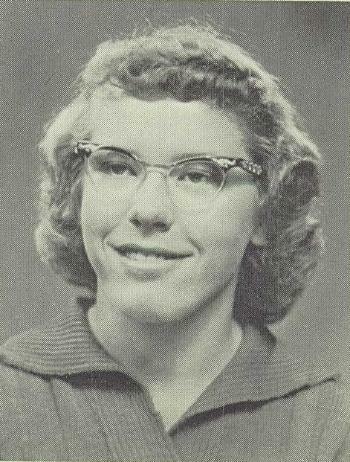 Elsie Martha Meyer graduated in 1963 at Webb High School, Reedsburg, Sauk, Wisconsin.